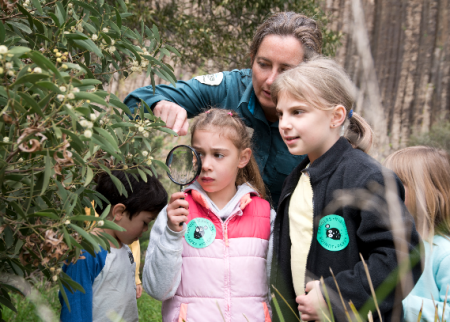 Bush walking with kids is a fantastic way to entertain the tribe while enjoying all that nature has to offer. 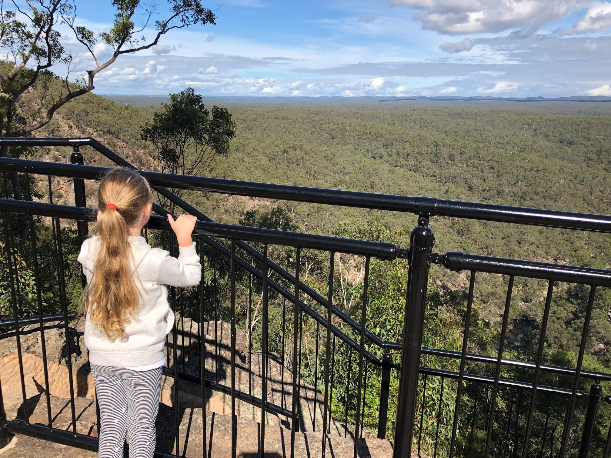 We tried the Bluff Reserve in the Blue Mountains which the kids loved. 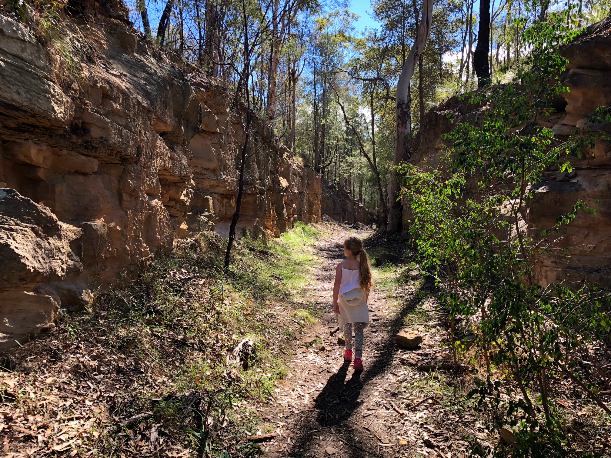 There are lots of different bush walking tracks in the Blue Mountains, and some that are more suitable for kids than others. Bluff Reserve offers two different circuits or you can enjoy the entire walk in an hour. 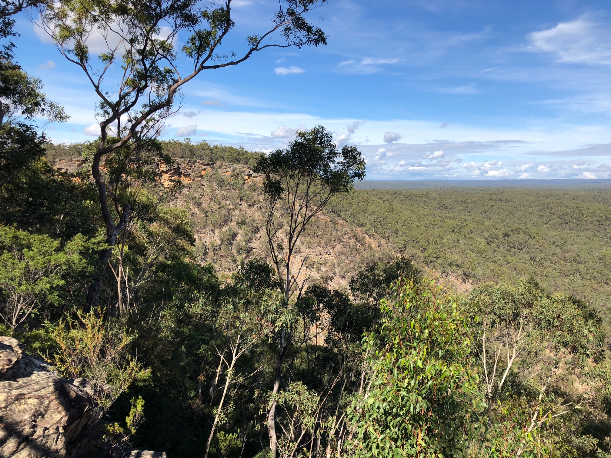 Within Bluff Reserve there are two lookouts with spectacular views. To the left of the carpark you will find Bluff Lookout which is a 10 minute return trip to the car. Also to the left if you feel like a longer walk, you can explore Darks Common which is a 2km track and a 45 minute return trip. To the path on the right you will find Chalmer’s Lookout which is nestled only 150m from the carpark and a nice easy walk for small kids. We decided to do the Chalmers Lookout first and then when we got back to the carpark we ventured off to the left to explore Dark’s Common. In Dark’s Common we saw some of the old signs for a tramway which was very interesting. 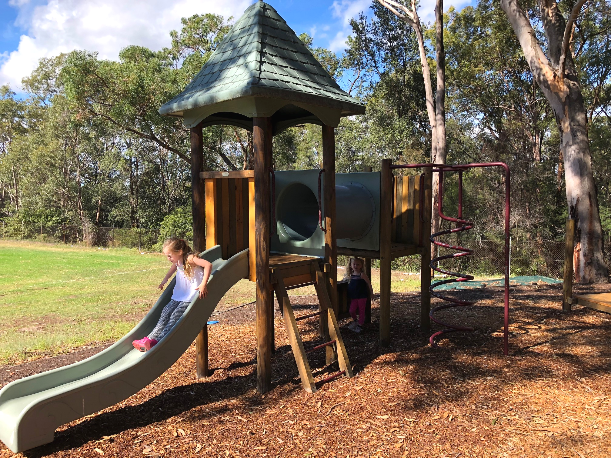 We came out of Dark’s Common and found ourself at the gates of Lapstone Public School where we found their popular Adventure Playground which is open to the public on weekends and in the school holidays. 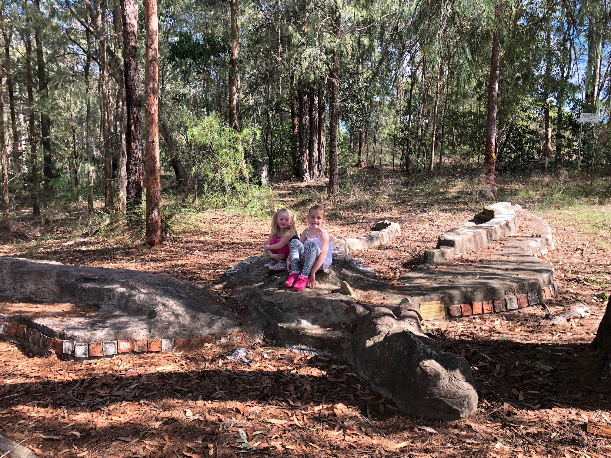 We also loved finding Sophia, the Blue Mountains Marsupial Dragon – a beautiful sculpture built by the children of Lapstone Public School. 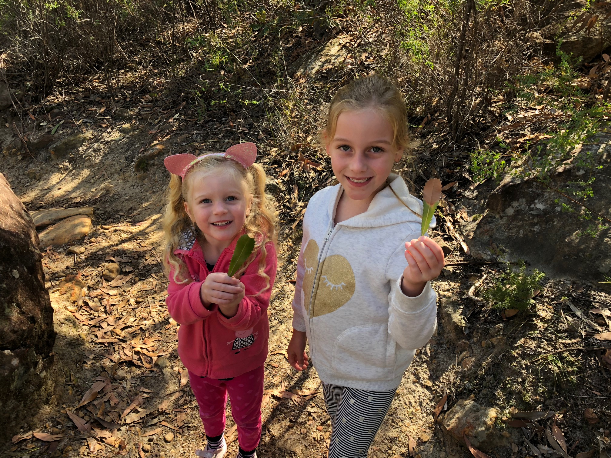 Bluff Reserve offers two short 10 minute bush walks that are easy for children to navigate as well as a slightly longer walk for families who love to get outdoors.